Will there soon be the pitter patter of some more little feet in Genoa City? I think so. There may even be a mini baby boom. Lauren and Michael, however, will not be among the new parents as Lauren's pregnancy test turned out to be a false positive. Here are the other potential future mothers, though. * The Cricketmeister (oops, Christine) has informed husband Paul, the clueless police chief, that she has been feeling maternal urges and has been thinking about having a child. * Attorney Leslie Michelson may be hiding a pregnancy from Neil. That would explain her quickie wedding to a Dr. Barton in Las Vegas. * The third possibility is the Princess herself, Victoria Newman. While eating hot dogs in the park with Dr. Stitch 'em Up, the Princess (to put it delicately) became sick to her stomach. That happened for a reason and I'm sure it wasn't the hot dogs. If there is indeed a baby on the way, who is the father - Billy Boy or Stitch? Will Victoria take Billy Boy back for the sake of the baby, even if Dr. Rayburn is the daddy? If Stitch turns out to be the father, Victoria will likely hide that secret from Billy once they get together again. On the other hand, if Billy turns out to be the father, Victoria will probably not tell him because of her fear that he'll hurt her again if they reconcile. She may lie and inform her estranged hubby that Dr. Stitch is the father - especially if she thinks he's becoming involved with Chelsea. After all, conflicts on soaps are based on secrets and lies. Speaking of the pie-faced, junk-food loving Dr. Stitch, he sure has poor eating habits for someone who is supposed to promote good health and nutrition. Ted Shackelford made a recent appearance on The Young and the Restless, in the role of Jefferey Bardwell. The 67-year-old appeared in some scenes with his television daughter, Chelsea (Melissa Claire Egan). Sadly, he did not look well at all. He was very thin and gaunt. It's certainly not my place to make any kind of diagnosis here, but to be quite honest, he seems very ill. I hope I'm wrong. Shackelford recently reprised his Gary Ewing role on the revamped Dallas series. As Gary, he attended his brother J.R.'s funeral. During the shoot, he was so ill with a virus that he almost collapsed. Well, I have slightly altered my opinion of that debonair Australian, Colin Atkinson. He is a cad but not as much of a cad as I had thought. Despite his shortcomings and his criminal activities, I really believe that Colin has fallen for Jill. Of course, Jill is not going to believe his feelings for her are sincere. She will think he has only used her as pawn and does not care for her at all. Your predictions are quite interesting. I do not like the new Kelly. She reminds me of a young Tonya Harding, the figure skater, in looks. So I am hoping that other viewers feel the same way and that her character won't be sticking around for too long. Already, I get the feeling that Dr. Stitch likes Ashley better than he likes Victoria. Isn't Ashley bold in her old age? Everyone was showing off their tan at the engagement party, sleeveless sundresses and all. I guess it is already summer in Genoa City? Or did they all just return from the Soap Opera Hawaiian cruise? Actually they probably all had spray tanning with the Kardashians. Finally Nick has put his brain into action again! He and Victor will really be on the outs now. You may be right about the Cassie twin thing. Do you think they will pair up Chelsea and Billy. I hope not. Don't you think that: - the camera guy is too young for Avery? - Summer/Hunter is really blah and no longer fits into the ensemble? - that both she and the actress who plays Courtney are significantly older than their characters are supposed to be? - that Tyler has an agenda and plans to marry Abby will soon blow up? - that Stitch is a bit of a lady's man? - that there are really too many story lines hanging in the air? Yes, CC, I'm not not overly impressed with the new Kelly either. I was really starting to enjoy the chemistry between the old Kelly and Jack Abbott. However, I have to admit that in the last few episodes, the new Kelly (Cady McClain) has grown on me a bit. She seems softer and sweeter than the first Kelly but she'll have to toughen up for the inevitable clash with Phyllis (Yes, I think Phyllis will finally come out of her coma. It has to happen fairly soon). The old Kelly was more believable as someone who was involved in a dirty deed with Dr. Stitch. She had more of an edge to her. The Y&R female characters do wear a lot of sleeveless dresses, even in the winter. I think that sometimes they forget that they are supposed to be in Genoa City, Wisconsin, not Los Angeles. Last November, I saw Melody Thomas Scott(Nikki Newman) at the National Women's Show here in Toronto. Melody told the crowd that as someone from California, she found the November weather here cold. I can't fathom how she could ever survive January and February here. 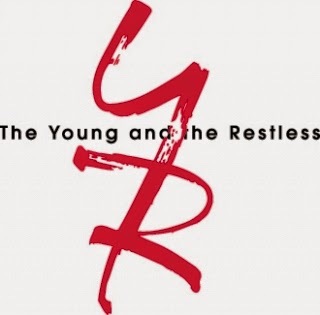 In my last Y&R Report, I speculated that the fake Cassie may be Cassie's identical twin. Somehow, Sharon was not aware that she had given birth to a second child. The other twin was hidden from her for some reason. I still think that may be true because Sharon really seems to have a maternal connection with the Cassie look-alike. The identical twin storyline has been used on the show before, although in a different context. Remember William Bardwell, Gloria's late husband? When he died, his twin brother, Jeffrey Bardwell suddenly appeared on the scene. This provided an opportunity for Ted Shackelford to remain on the show. I think that the writers may decide to pair Billy and Chelsea temporarily for storyline purposes. I hope not but it seems to be happening. It appears that Kelly has been taken out of Billy's orbit and moved into Jack's. The Princess has rejected Billy Boy and he seems lost and lonely. Chelsea is also alone and vulnerable. She thinks Adam is dead. The situation will definitely change when Adam returns, as expected, after having plastic surgery. I agree with you that there is a spark between Dr. Stich 'em Up and Ashley. It's unfortunate for Y&R that Eileen Davidson chose to return to Days of Our Lives rather than Y&R. Since she only makes occasional visits to Genoa City, it's hard to include her in a storyline with the not-so-good doctor. Yes, Summer is having trouble fitting in right now. Her character has seemed out of place ever since it was revealed that she and her best friend, Courtney, were not the same age. Since Courtney turned out to be older than Summer, and a police officer to boot, their relationship has been awkward. Their friendship has changed somehow. They are not as close. I don't think it's helped that Courtney is now the girlfriend of Summer's brother, Noah. Young Ms. Newman needs to have more friends her own age. Hey, where has Fen been lately? He hasn't been around. By the way, CC, Hunter King is 20 years old and her Summer character is 19. Kelli Goss, the actress who portrays Courtney Sloan, was born on February 1, 1992. That makes her 22 years old. Courtney was revealed to be closer to Noah's age on the show, which is 23. Neither actress is significantly older than the characters they play on the show. Yes, I think the cameraman, Austin, is somewhat young for Avery. As I stated in my last Y&R Report, however, the writers are going to create problems for Avery and Dylan because, on the soaps, there must always be trouble in paradise. I'm not sure if Tyler has an agenda but I do think his wedding plans with Abby will blow up. That stoyline has been moving far too slowly. We should know a lot more about Tyler's weird ex-fiancee, Mariah, by now. Yes, Dr. Stitch'em Up is a lady's man. I really want to know about the skeletons in this medical man's closet. I wish the writers would hurry up and reveal more about his past, especially since Princess Victoria is beginning to get curious about his background. When they were chomping down hot dogs in the park, she remarked about how little she really knew about him as compared to what he knew about her. Yes, there are certainly too many storylines hanging in the air. As you've pointed out before, CC, sometimes the writers seem to be making things up as they go along. Did u know that Jessica Collins (Avery) is a professionally trained chef. She had asked the producers to put a gourmet kitchen into her Genoa City apartment so cooking would be part of her ongoing storyline . . . I believe her Key Lime Pie recipe is on YouTube. I really dislike the new Billy. He creeps me out . . . so intense. I LOVED Billy Miller so much as he always had a twinkle in his eye. So believable. This new/old Billy is just awful. Am sorry to see Adam disappear also... of course he comes back from the accident with a new face, new actor. I do like Chelsea. Chloe is just nuts... her storyline is stupid. The writers had a real chance to a proper storyline on parental grief. Missed that one. But Chloe is leaving. Now Nick has seen Cassie . . . How will Victor get out of this jam? Victor is so sneaky and needs to pay for this story twist. The new Billy (David Tom) doesn't creep me out but I miss Billy Miller and the twinkle in his eyes too. I am not a fan of Chloe but I think her character has been written into a corner. She needs extensive therapy for her grief and anger. I'd prefer that she leave town and I hope that Elizabeth Hendrickson is not replaced by another actress. Victor is the ultimate escape artist. He always gets out of his jams by going on the offensive and accusing someone else of something. Ian Ward is an expert at doing the same thing. That's why Ian may turn out to be Newman's toughest adversary. He will not be able to defeat Ian as easily as he has defeated Jack. The Big Man (Victor) reminds me of The Road Runner in that he never really gets caught. He also never really pays for his misdeeds. His latest antics - hiring the fake Cassie - has caused Nick to be angry with him but "my boy" will eventually make amends The Big Man. Nikki is upset with Victor too (Isn't she always?). Yet she and Nick and Princess Victoria will never be able cut him out of their lives. 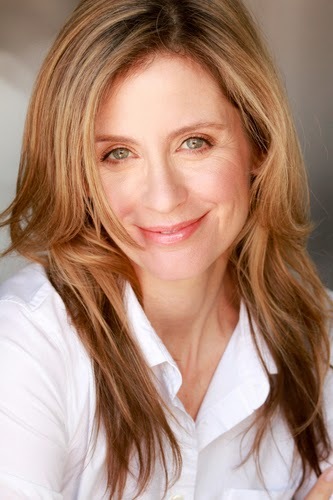 Another reason I think that there are going to be some future births in Genoa City is that the show has cast Helen Slater in the role of Dr. Chiverton, an obstetrician/gynecologist. Slater will be making her first appearance as Chiverton on May 2 on CBS and May 1 on Global in Canada. Melody Thomas Scott is scheduled to appear at the Woodbine Racetrack casino on Mother's Day, May 11, 2014 from 1:00 p.m. until 3:00 p.m.
Who is the cutest child on Y&R? That's all for now. Don't forget that the next edition of Y&R Report will appear in this space on Saturday, May 10, 2014. Yes, the May sweeps are coming up.